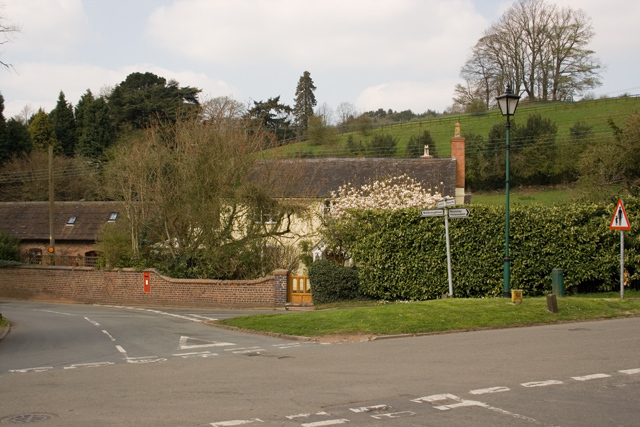 Clent is a village and civil parish in the Bromsgrove District of Worcestershire, England, southwest of Birmingham and close to the edge of the West Midlands conurbation. At the 2001 census it had a population of 2,600. The parishes of Clent and Broome were once an exclave of Staffordshire, completely surrounded by Worcestershire, having been seized by the Sheriff of Staffordshire before the Norman Conquest. This anomaly was addressed in 1844 when it was belatedly returned to Worcestershire. Clent had however always remained part of the Worcester Diocese. The Civil Parish of Clent also included part of the village of West Hagley, the population of which is about half that of the whole parish. On the first of April 2016, this part of the parish was transferred to the Parish of Hagley. Though in the ancient ecclesiastical parish of Clent, that area is now part of the Anglican parish of Broome. Part of the parish is an area of agricultural lowland, but to the northwest the ground rises forming the Clent Hills (now owned by the National Trust), which is a popular destination for walkers. Climate in this area has mild differences between highs and lows, and there is adequate rainfall year round. The Köppen Climate Classification subtype for this climate is “Cfb”. (Marine West Coast Climate/Oceanic climate). Below are links to downloads of PDF files of the new Parish Boundaries from Bromsgrove District Council, published March 2016. These are detailed high-resolution images, which may take a while to download depending on your connection speed.